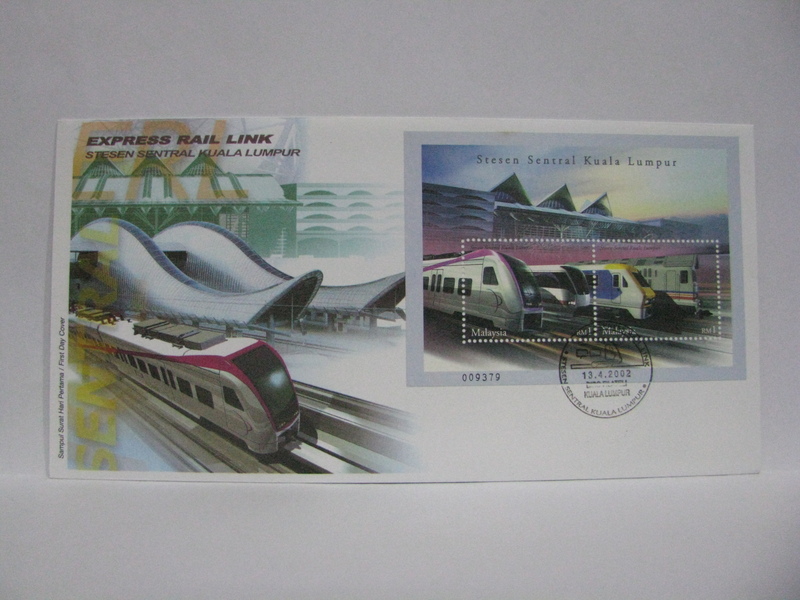 These FDCs were cancelled in Kuala Lumpur. 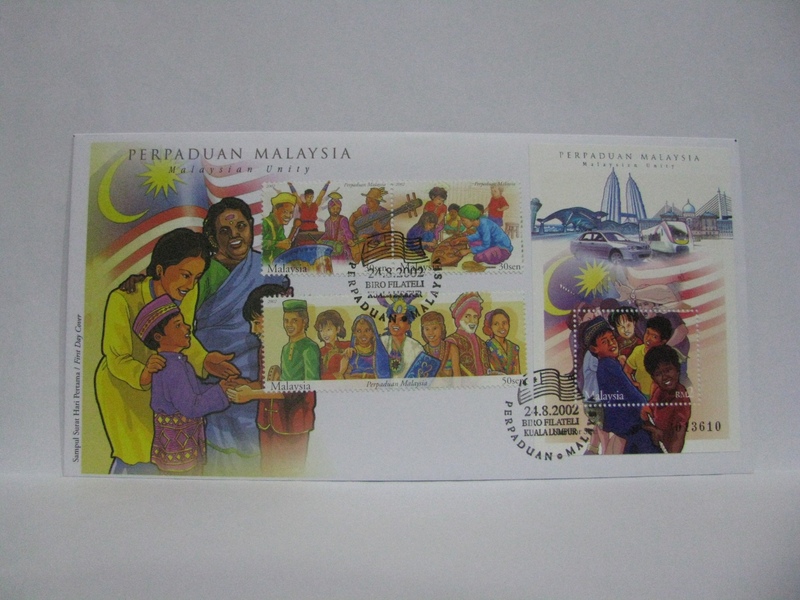 The joint issue is only on the RM 1 stamps and does not extend to the 30 sen stamp and miniature sheet. 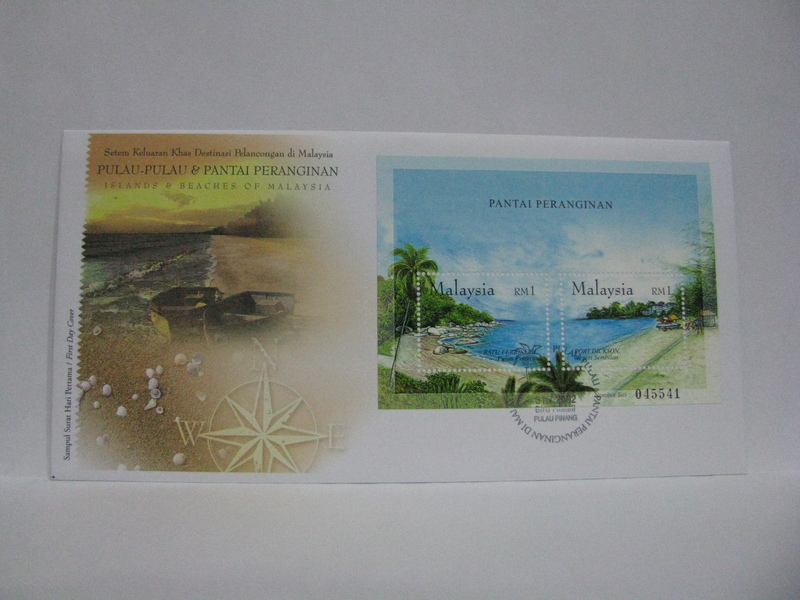 This is the first joint issue in the Malaysian philatelic history. 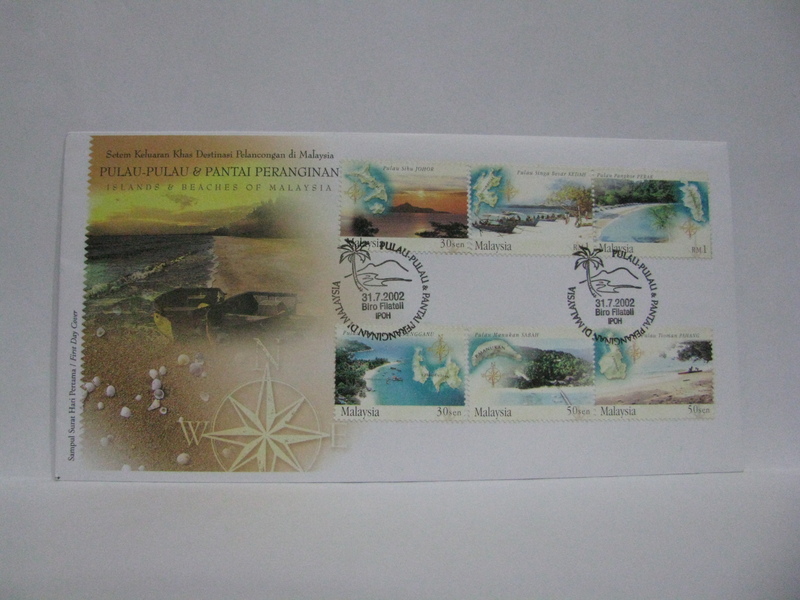 This FDC is special as the RM 1 stamps are setenant. 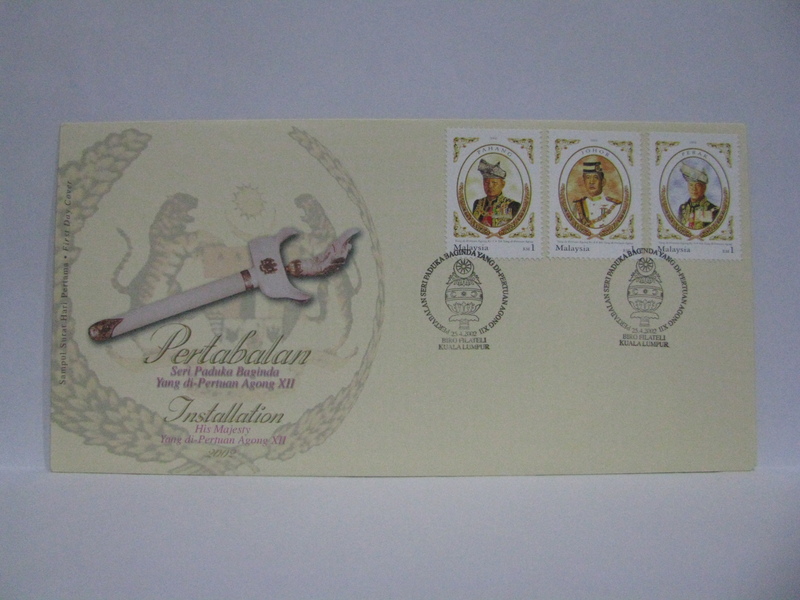 The setenant stamps are rare as they are in a certain position on the sheet. 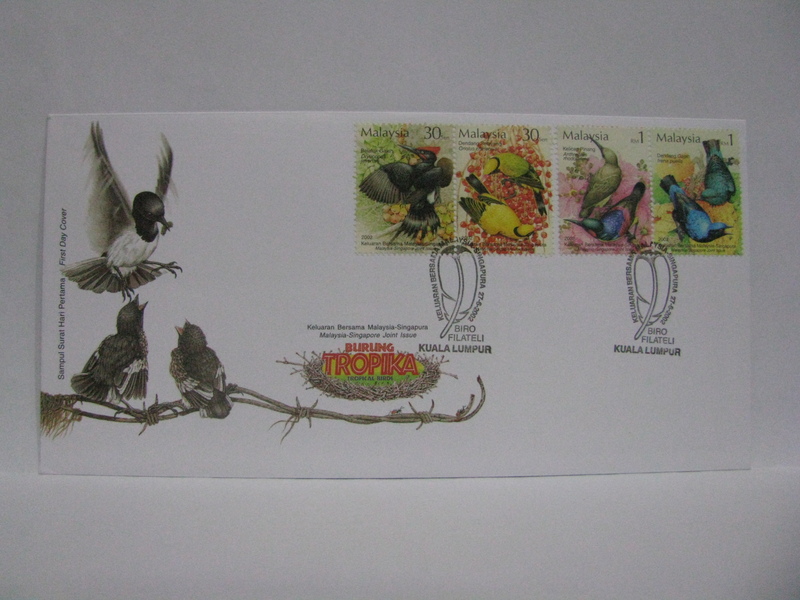 This is a joint issue FDC. 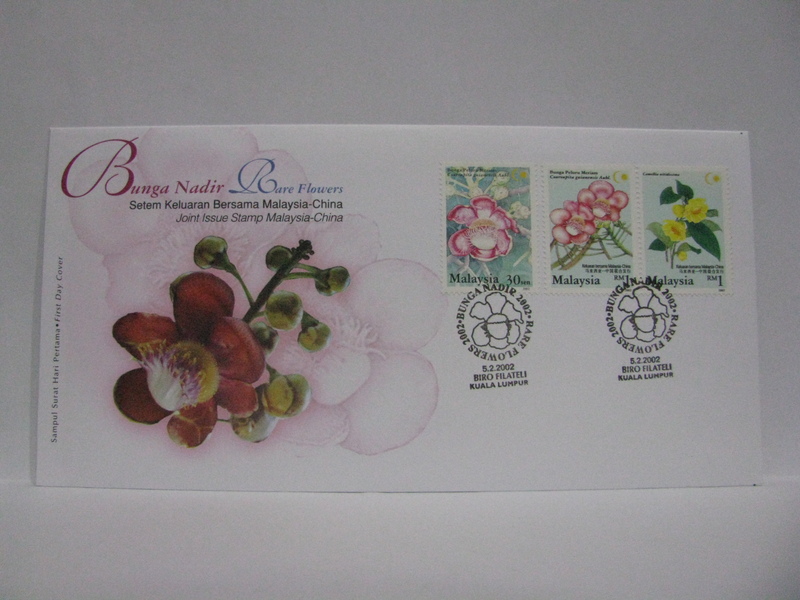 The Malaysia stamps were cancelled in Kuala Lumpur and the China stamps were cancelled in Beijing. 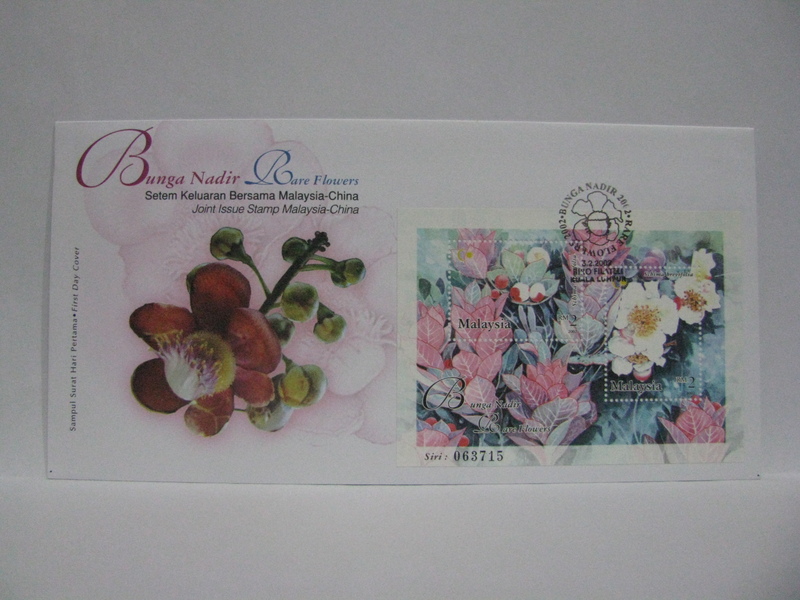 This joint cover was sold by the official China stamp agent – International Stamp and Coin Sdn Bhd. 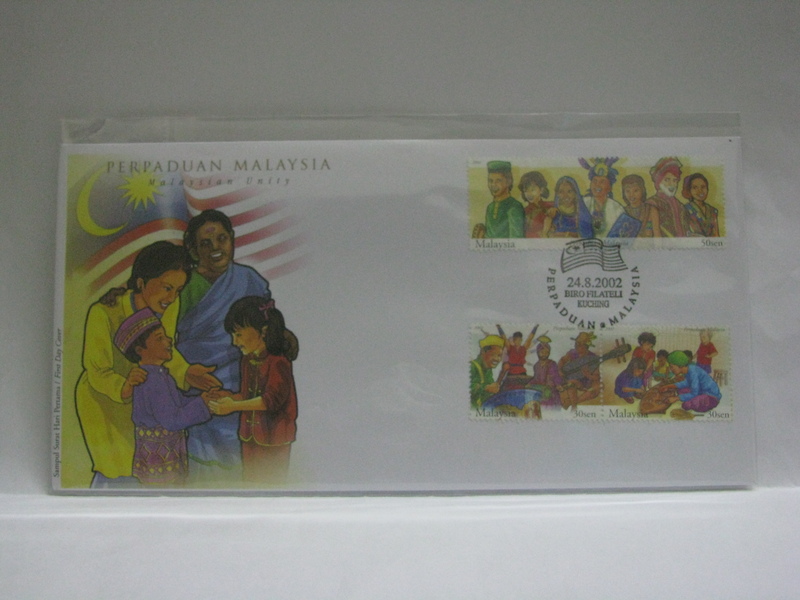 This cover is quite rare. 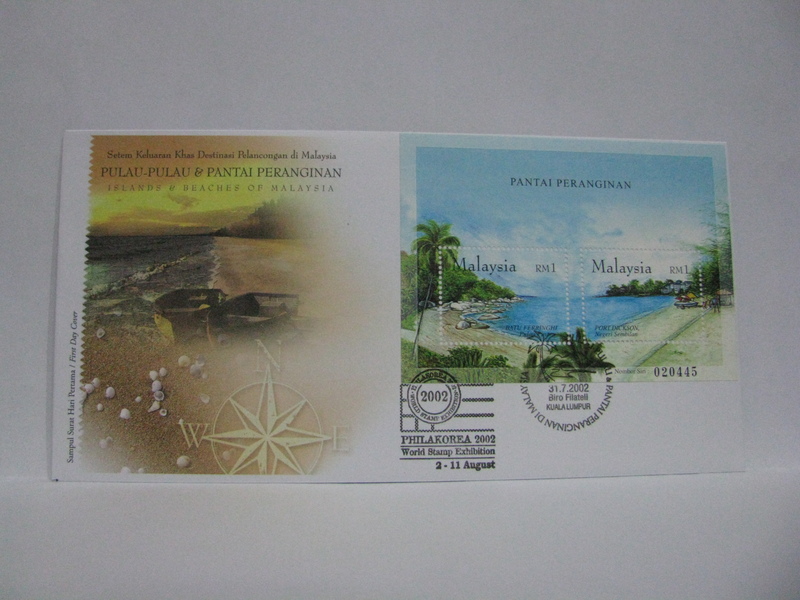 This is the Pos Malaysia joint issue FDC. 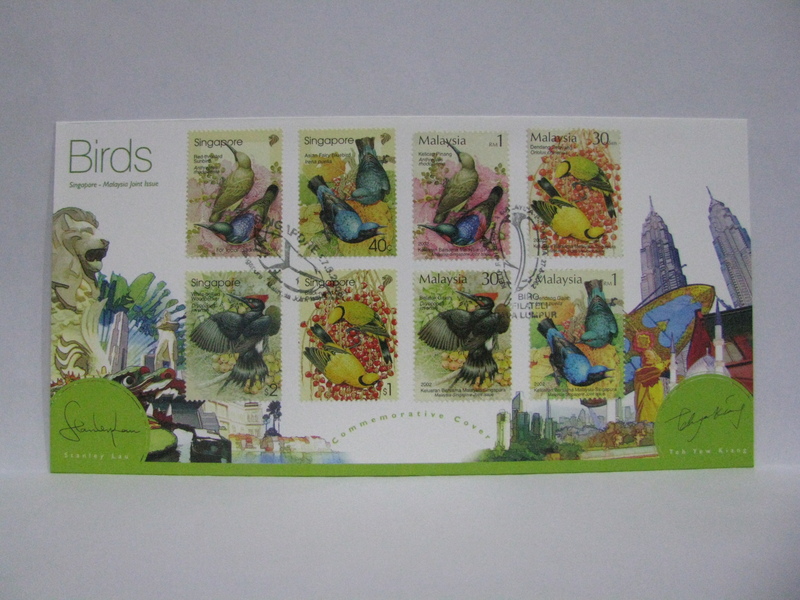 The Malaysia stamps were cancelled in Kuala Lumpur. 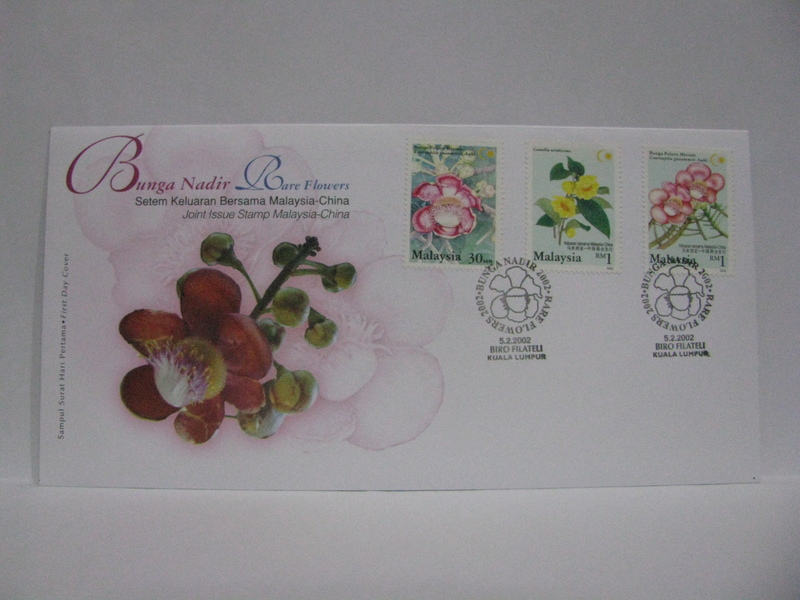 The China stamps were cancelled by China Post. 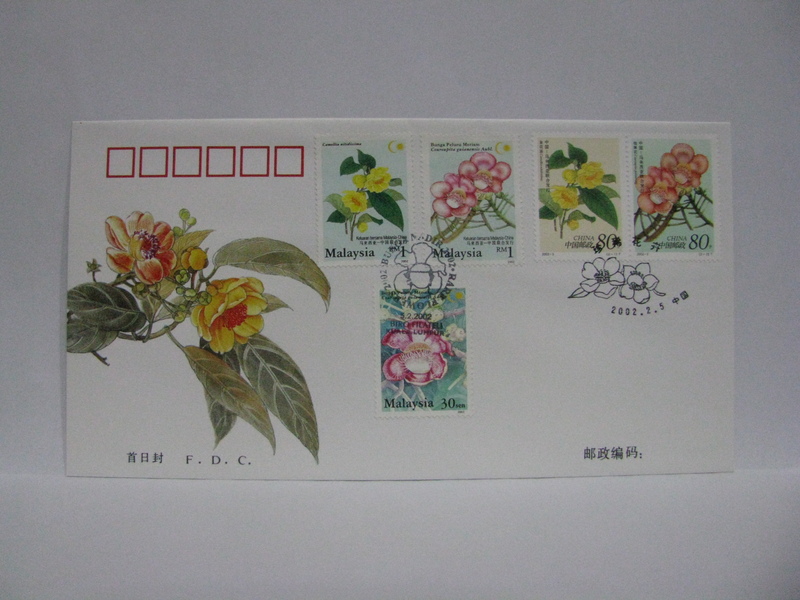 Here are the China FDCs. 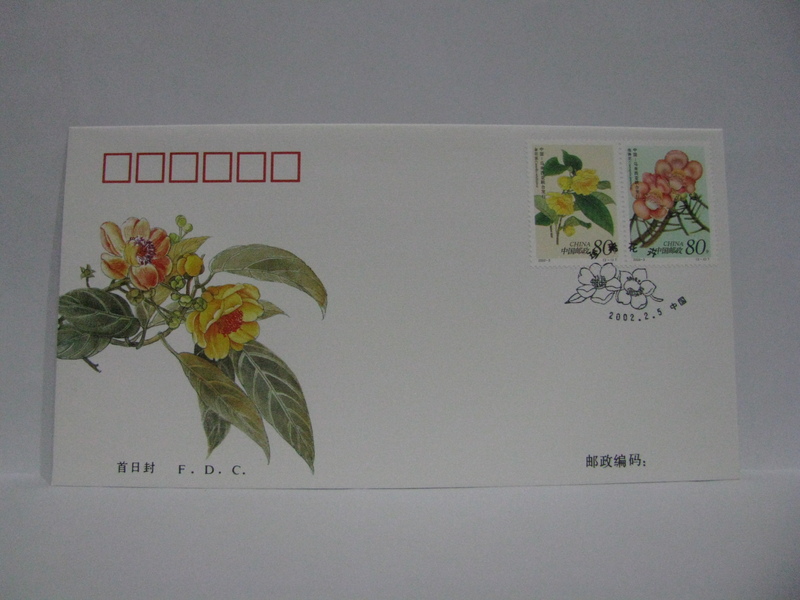 This FDC was cancelled with “China”. 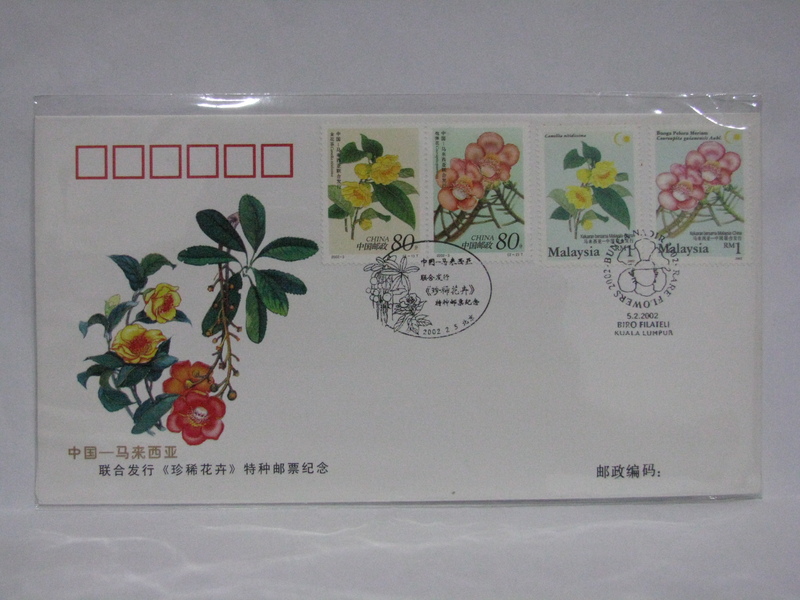 This type of cover is normally known as cover “A” from the China National Philatelic Corporation. 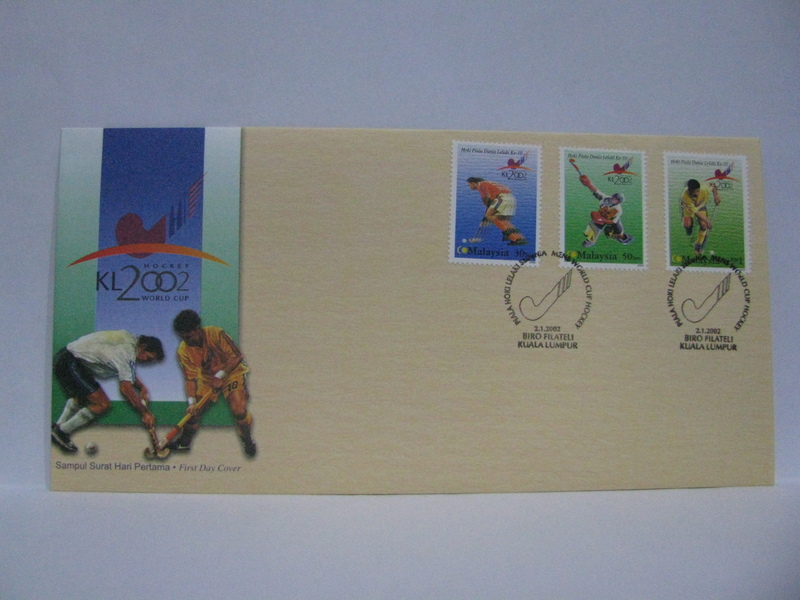 This is the joint issue FDC. 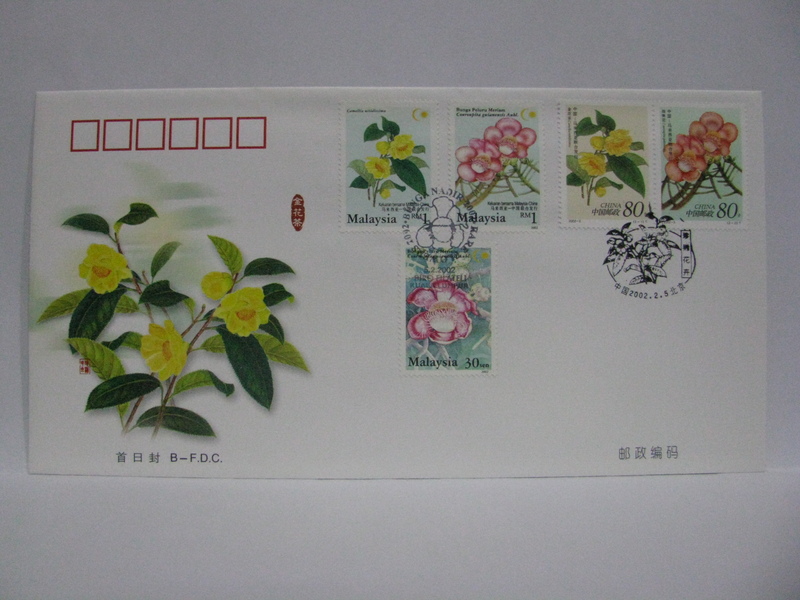 This FDC was cancelled in Beijing and was issued by Beijing Stamp Company. This is normally called cover “B”. 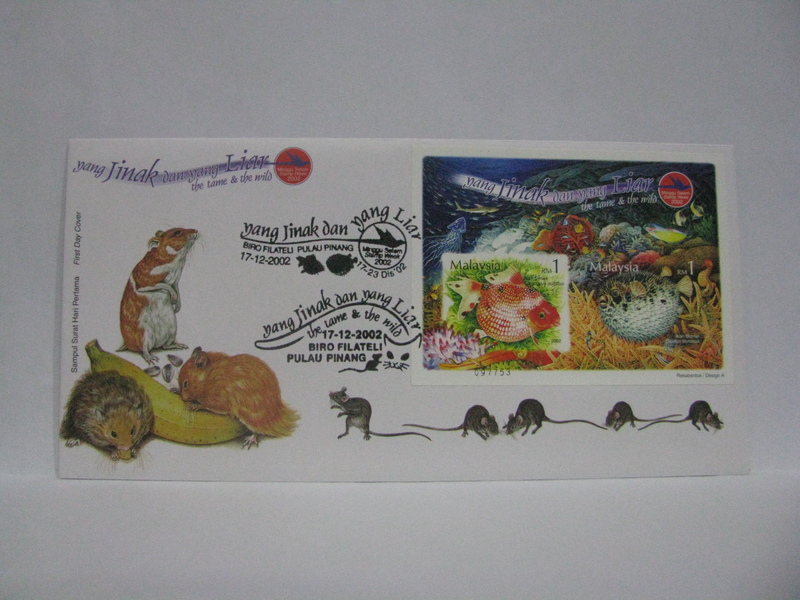 This is a joint issue FDC issued by China Post. 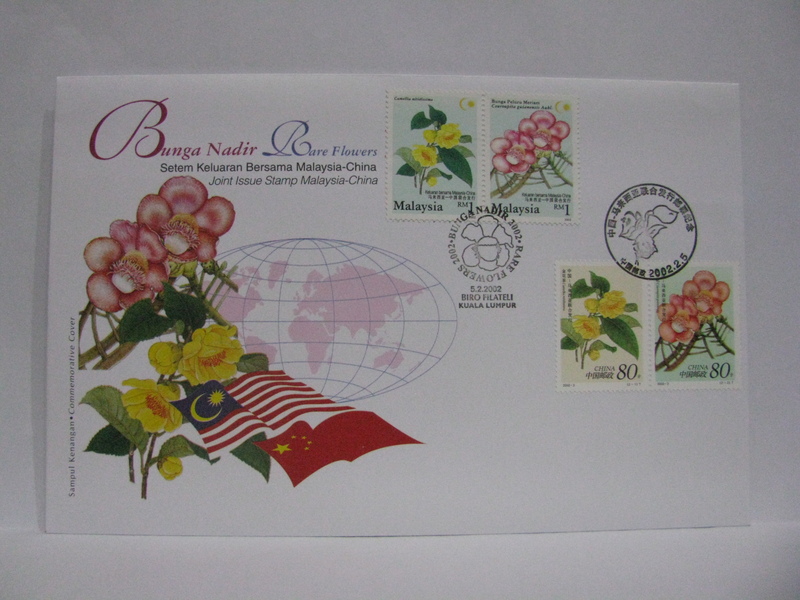 The Malaysia stamps were cancelled in Kuala Lumpur and the China stamps were cancelled in Beijing. 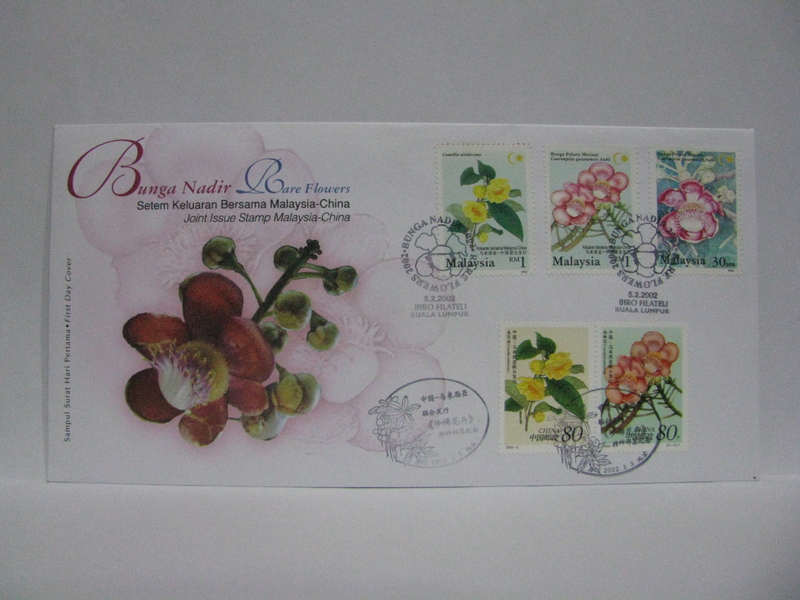 This cover is very rare. 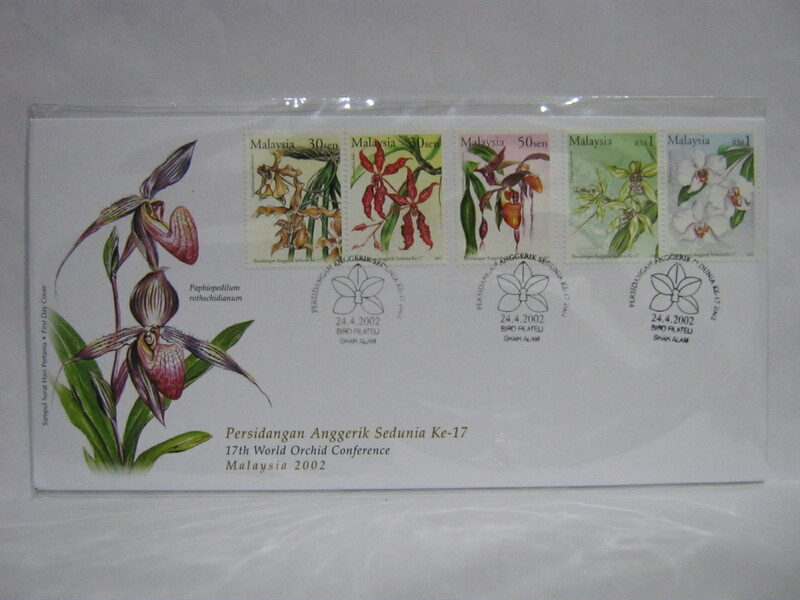 These FDCs were cancelled in Shah Alam where the conference was held. 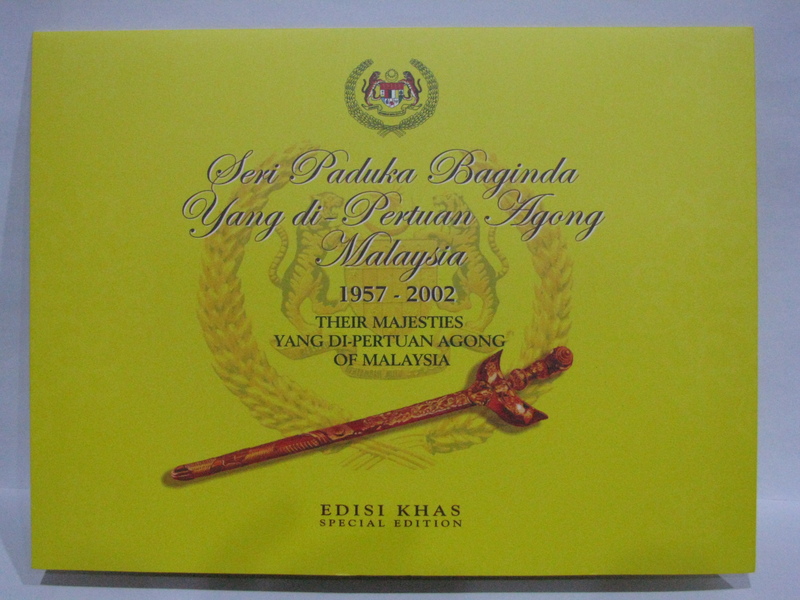 A special folder sheet called Their Majesties Yang di-Pertuan Agong of Malaysia 1957 – 2002 was also issued on the same day. 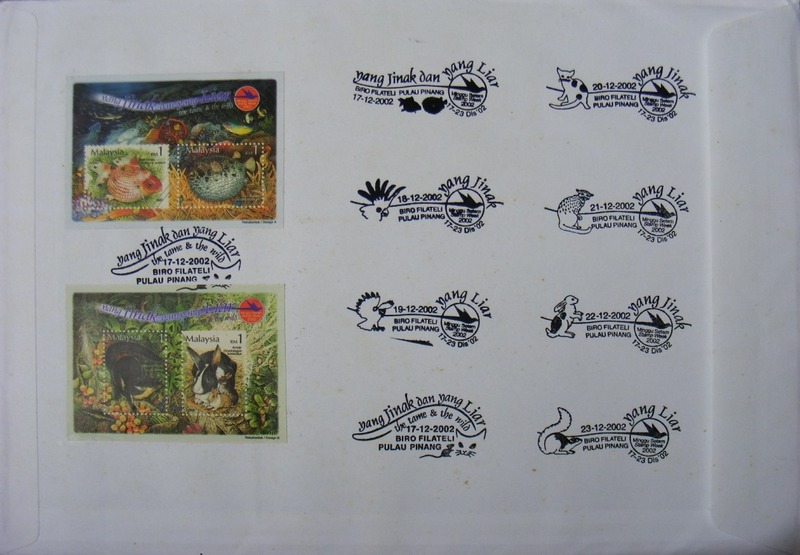 There was no FDC issued for this sheetlet, thus the same envelopes were used to make FDCs. 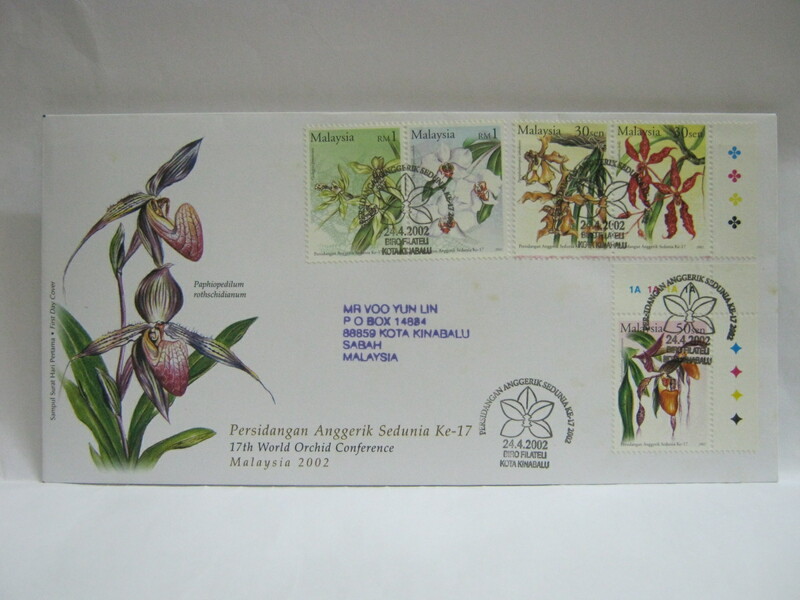 This Malaysia Joint FDC was cancelled with the Kuala Lumpur and Singapore cancellations. 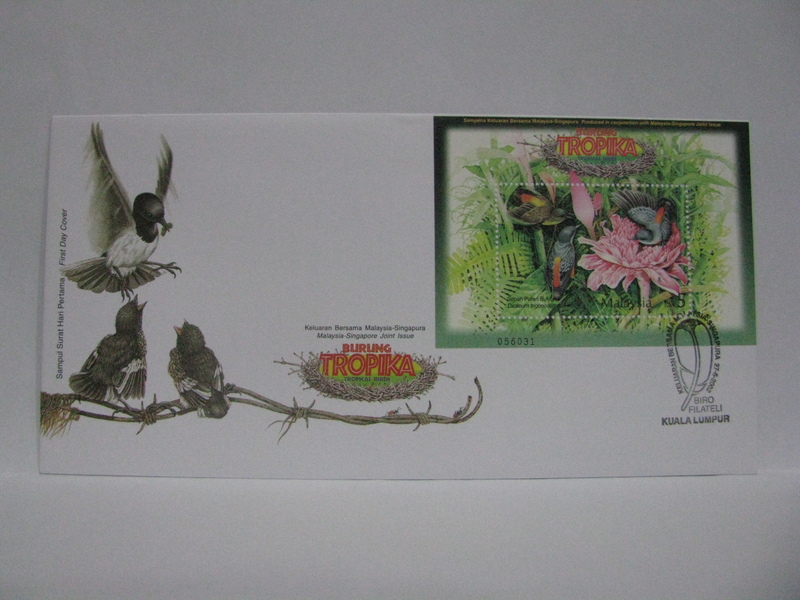 It was a special order product. 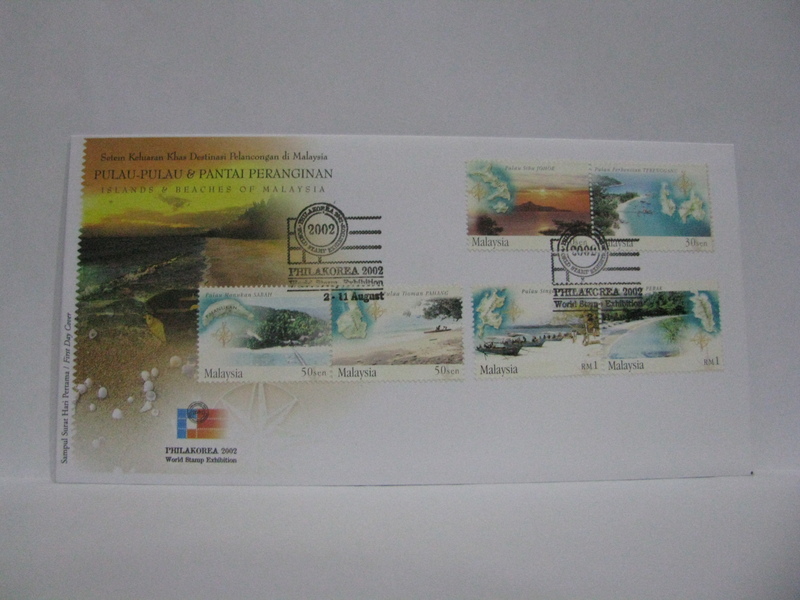 Did you notice that the way the stamps were arranged the Singapore cancellation also cancelled the Malaysia stamps and the Kuala Lumpur cancellation cancelled the Singapore stamps! 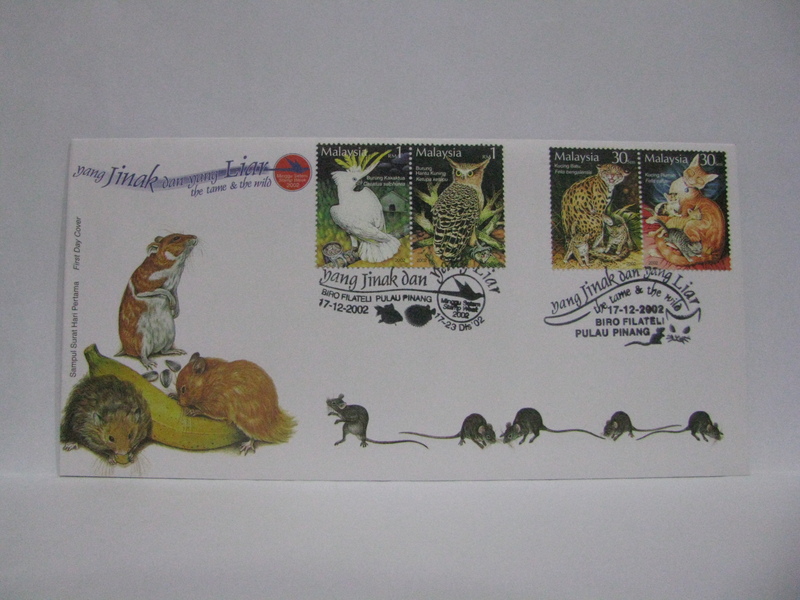 These are Singapore’s FDCs cancelled in Singapore. 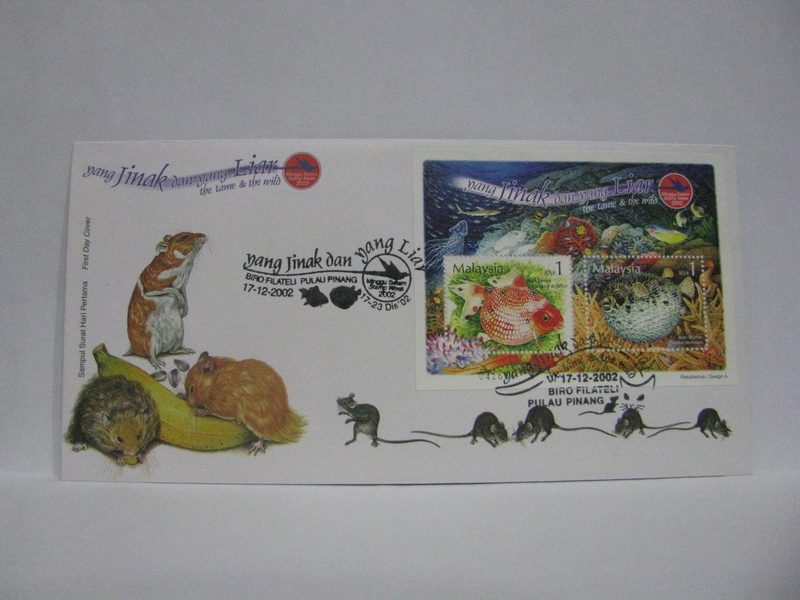 This is the Singapore joint issue FDC. It was cancelled in Singapore. 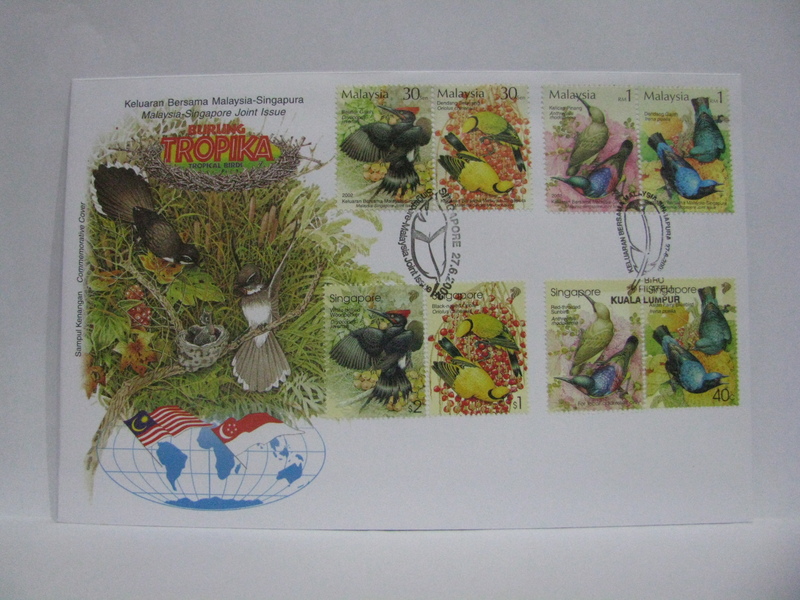 Notice the arrangement of the stamps? 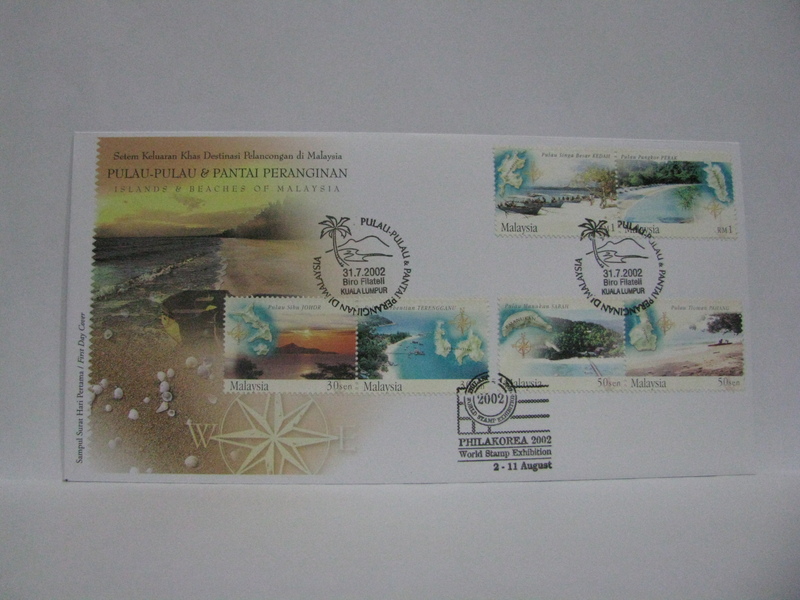 This time the stamps are cancelled correctly with the respective country’s cancellation. 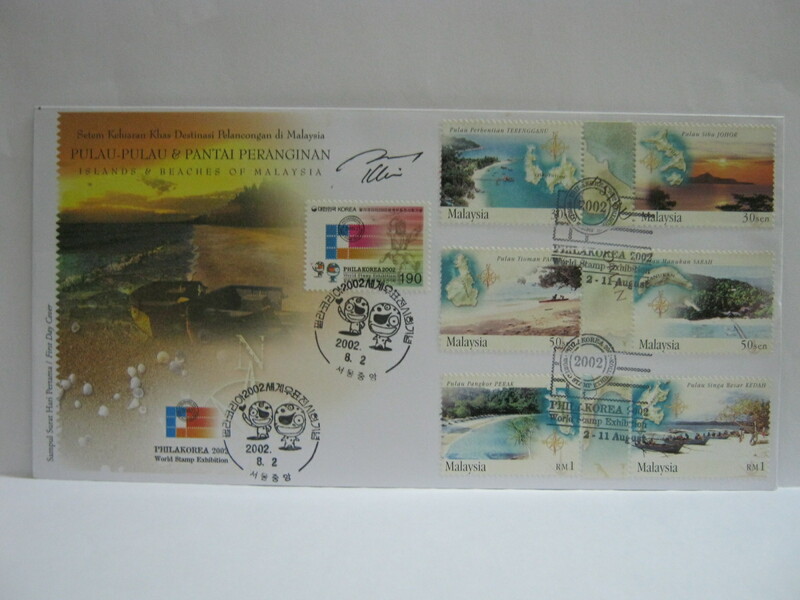 These FDCs were cancelled in Kuala Lumpur along with the PHILAKOREA 2002 World Stamp Exhibition cachet. 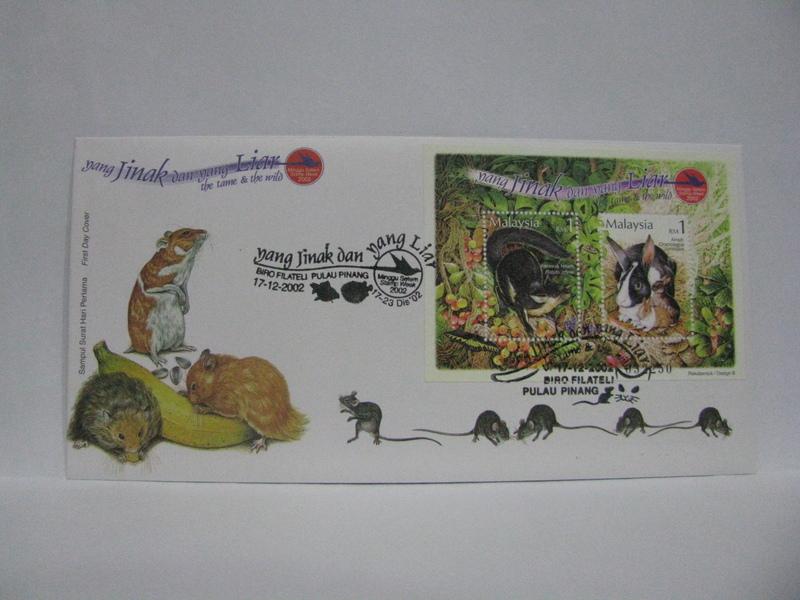 This FDC was cancelled in Ipoh. 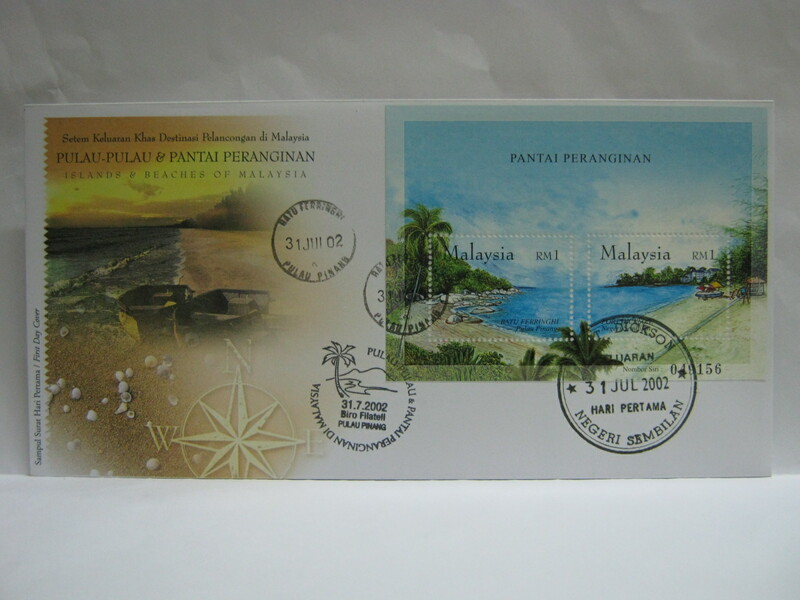 I would have preferred Pulau Pangkor. 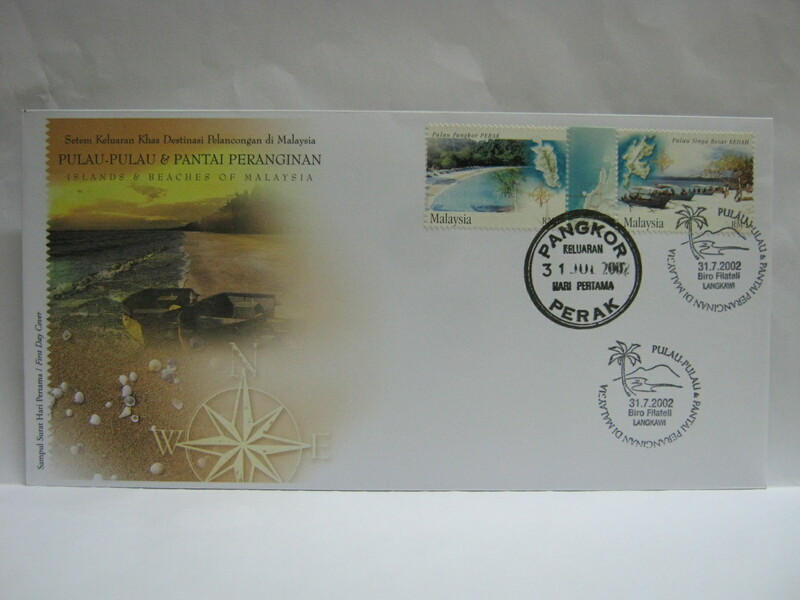 This FDC was cancelled in Kuala Besut and Mersing. 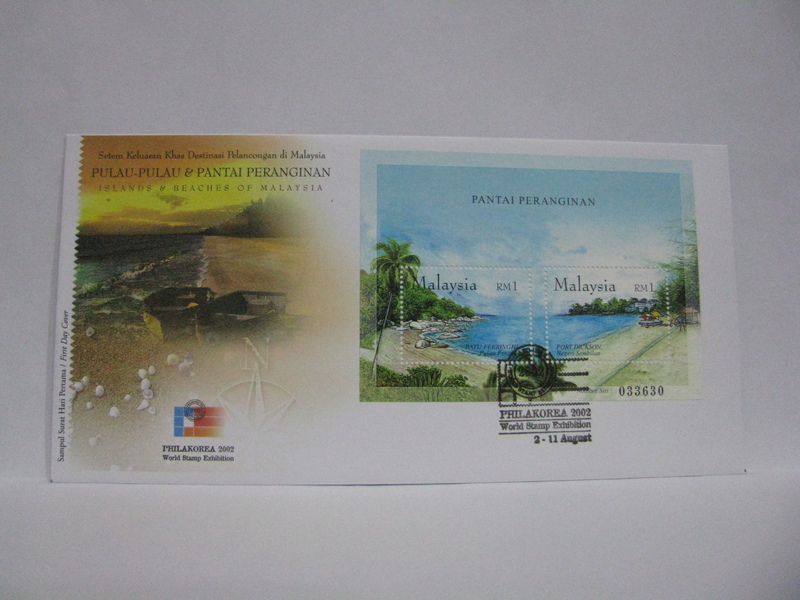 This FDC was cancelled in Pulau Pangkor and Langkawi. 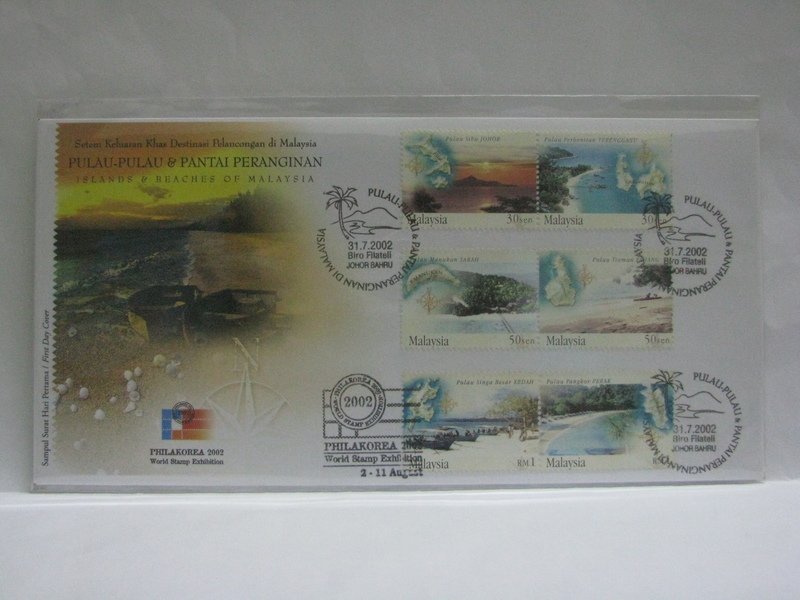 This FDC was cancelled in Pulau Tioman and Kota Kinabalu. 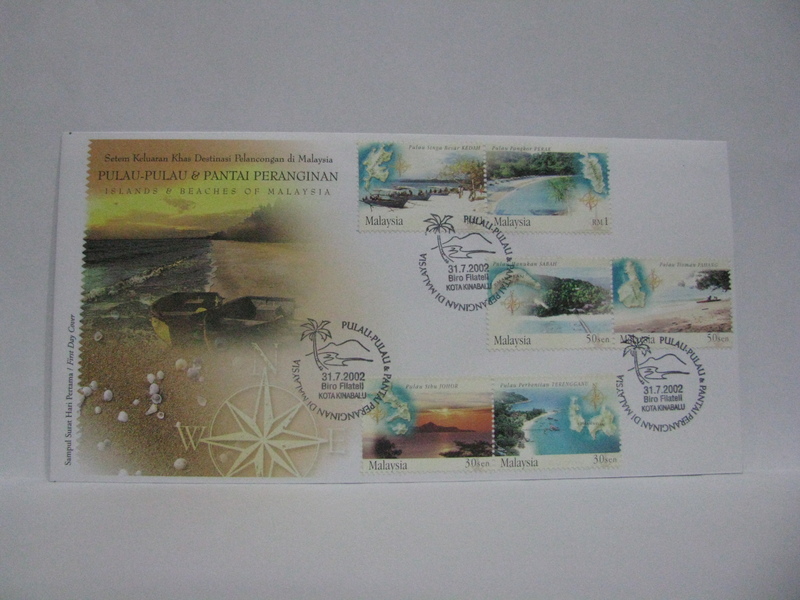 This FDC was cancelled in Batu Ferringhi, Pulau Pinang and Port Dickson. 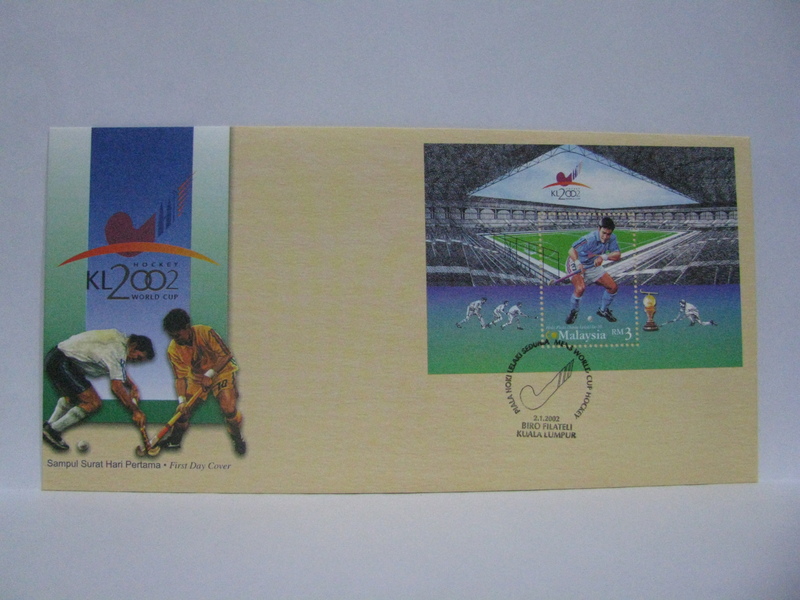 These Exhibition Covers were cancelled with the PHILAKOREA 2002 World Stamp Exhibition cachet. 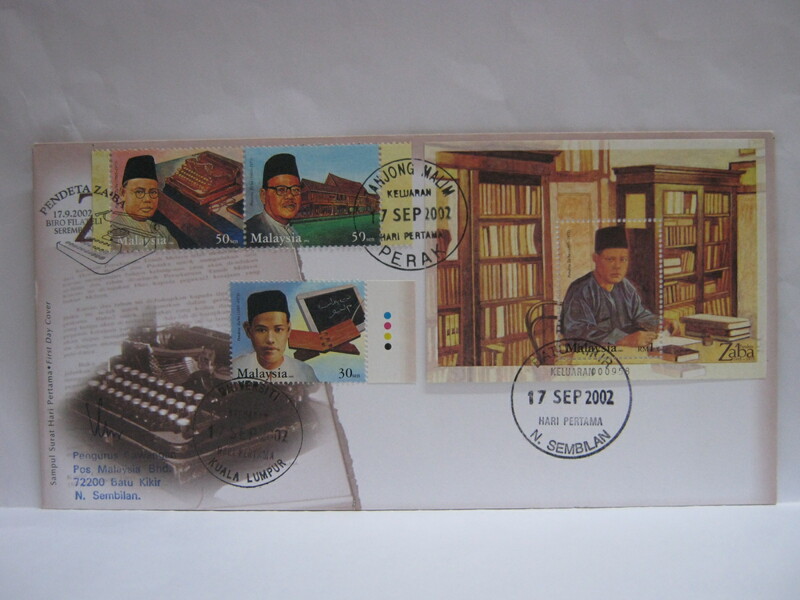 Notice the Overprinted Covers? 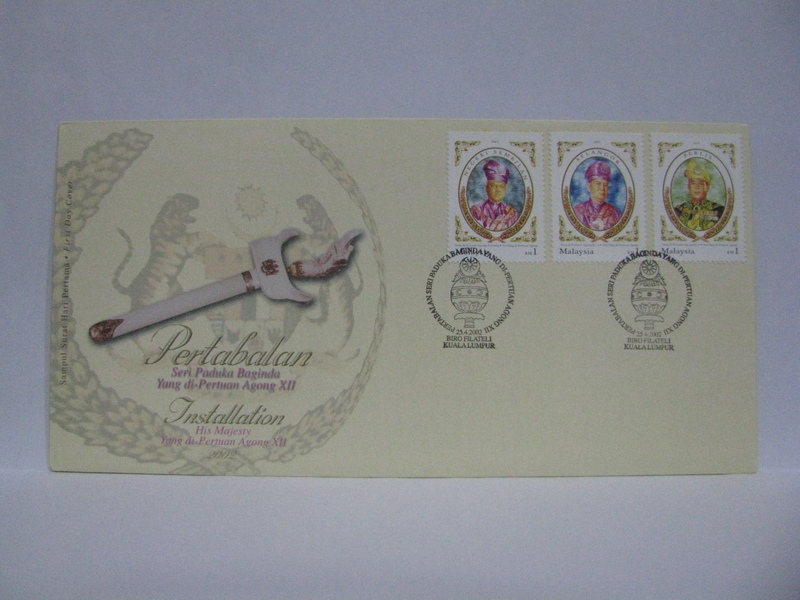 The stamps and miniature sheet were however not overprinted. 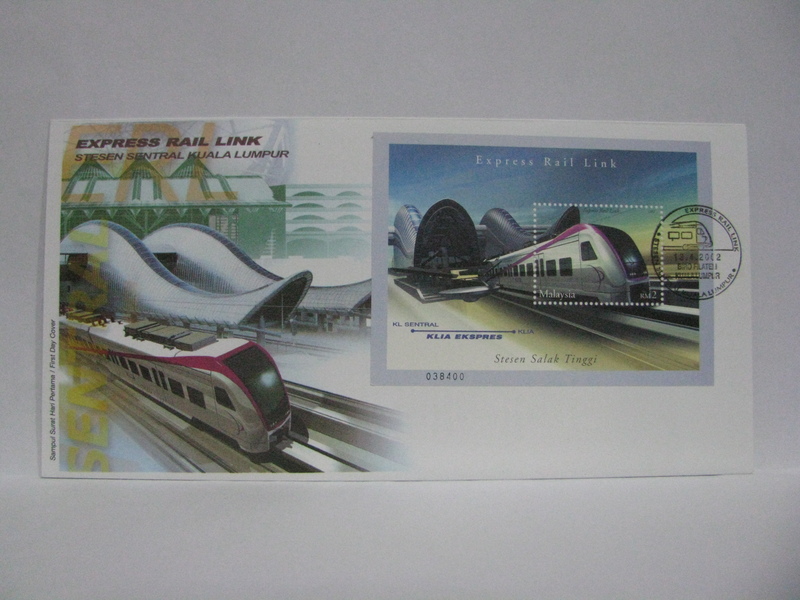 This exhibition cover was cancelled with the exhibition cachet along with the Seoul first day of exhibition cancellation and autographed by the designer, Mr KY Lim. 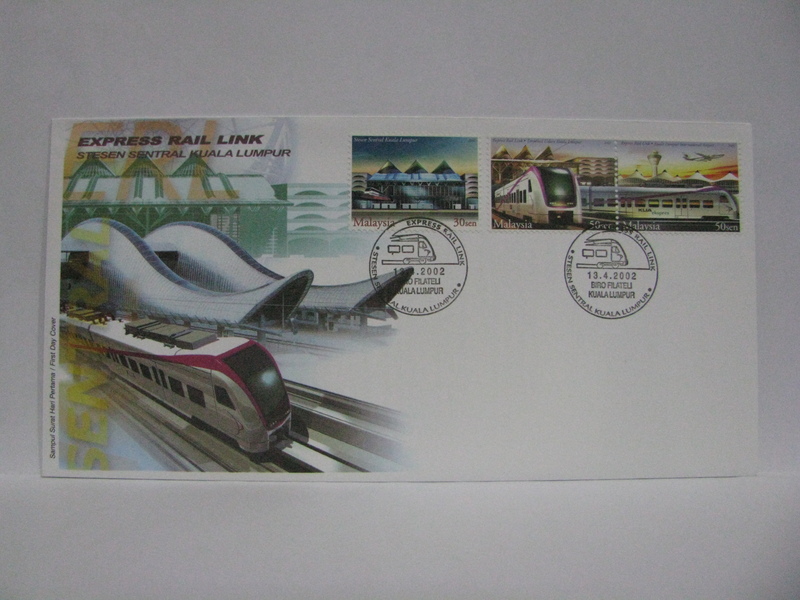 This composite FDC was cancelled in Kuala Lumpur. 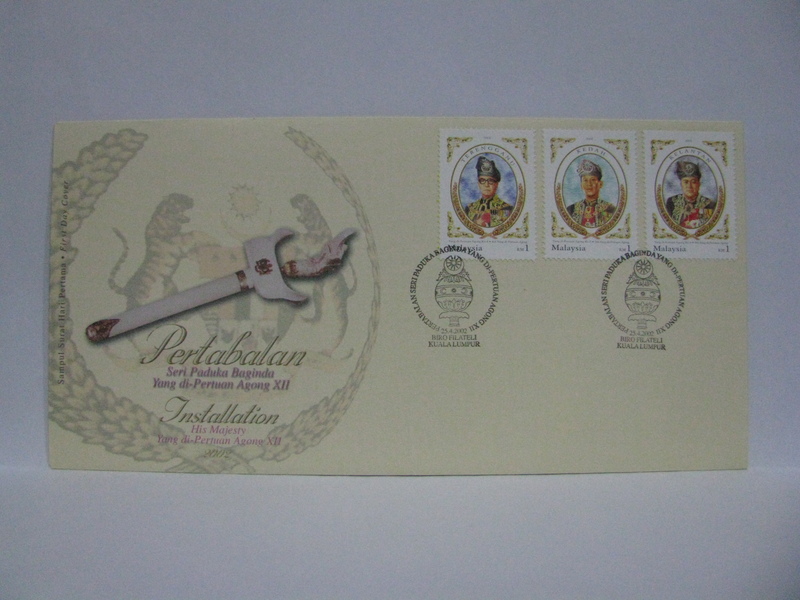 This FDC was cancelled in Seremban, Tanjong Malim, Universiti Kuala Lumpur and Batu Kikir. 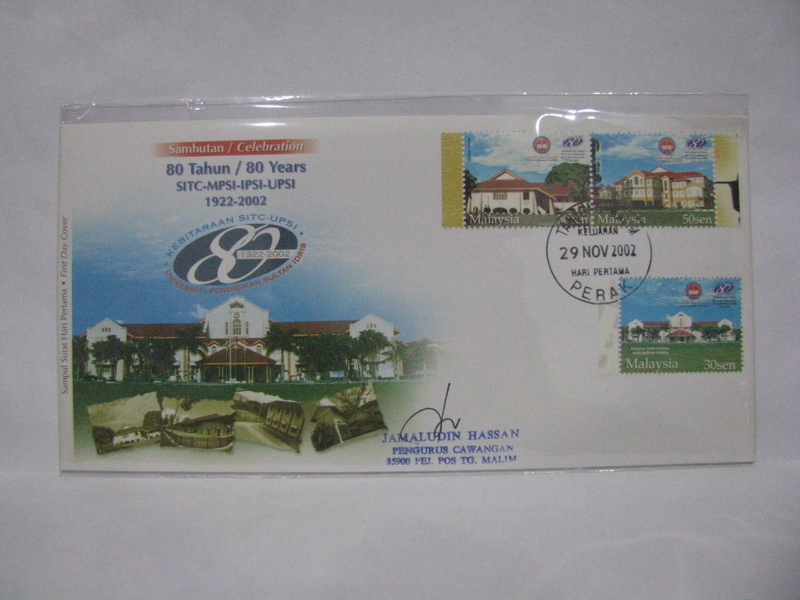 This FDC was cancelled in Tanjong Malim. 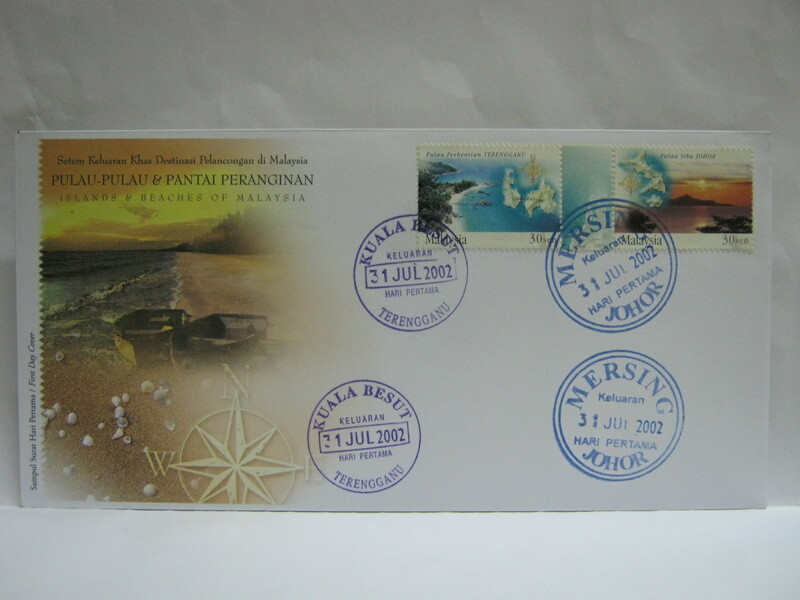 These FDCs were cancelled in Pulau Pinang along with the Stamp Week 2002 first day’s daily cancel (left side) and the official first day cover cancel (right side). 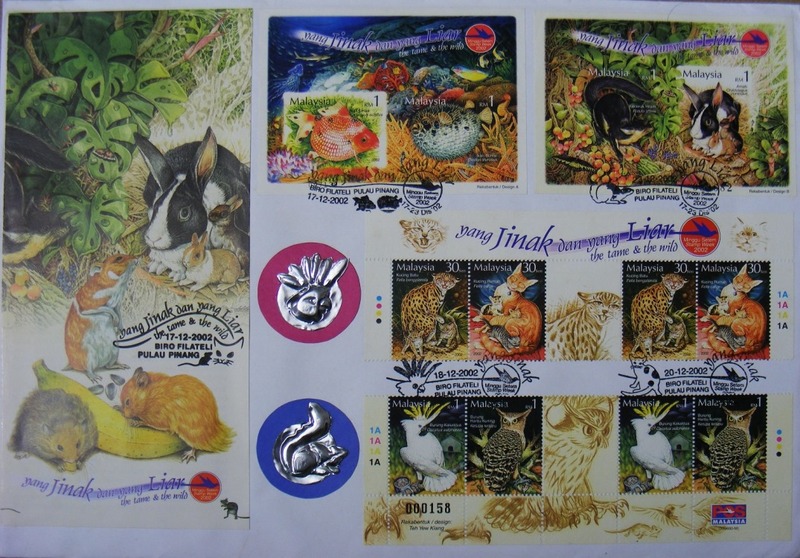 I want to thank a long time reader, JL, for this image of the most complete set of cancels on a private cover. 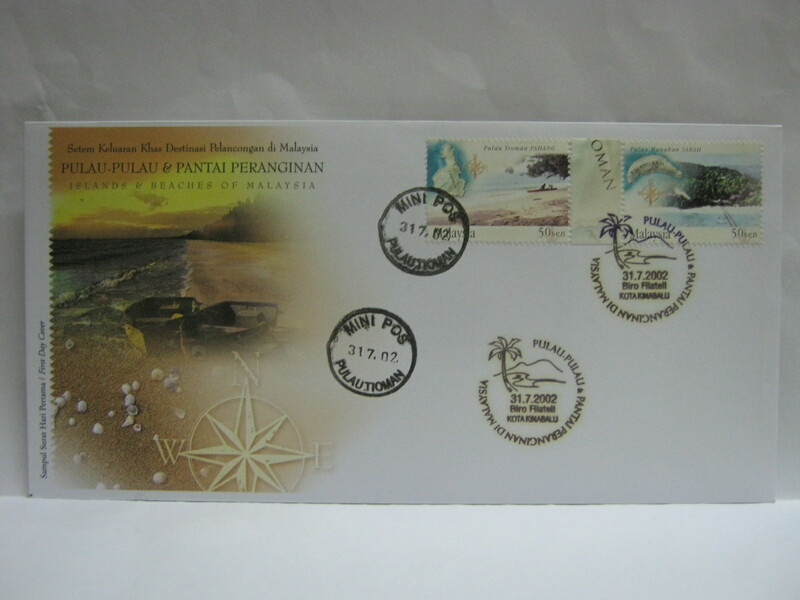 I think this is one of the neatest and finest private cover made for a Stamp Week! 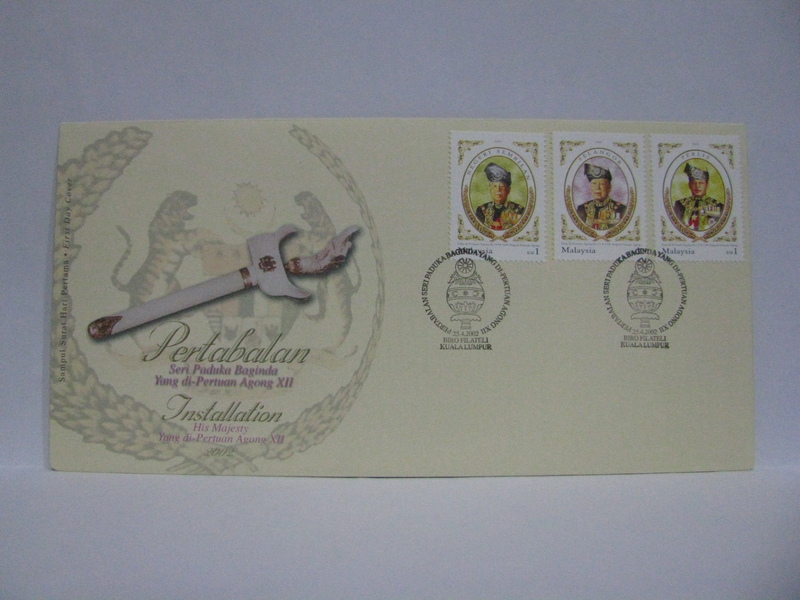 u got sale stamp? 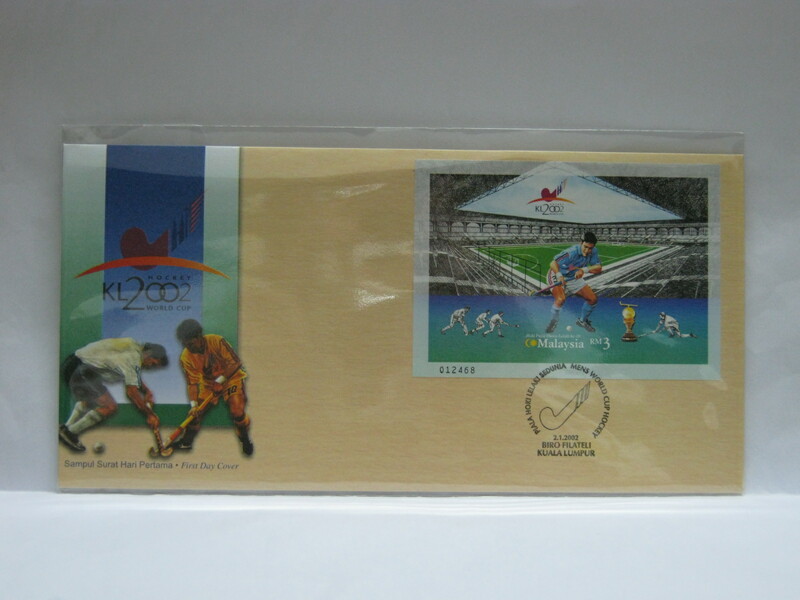 ?u got year 2002 installation majesty Sheetlet of 12 Kings with Folder?? Yes I do have the Sheetlet of 12 Kings in the original folder. 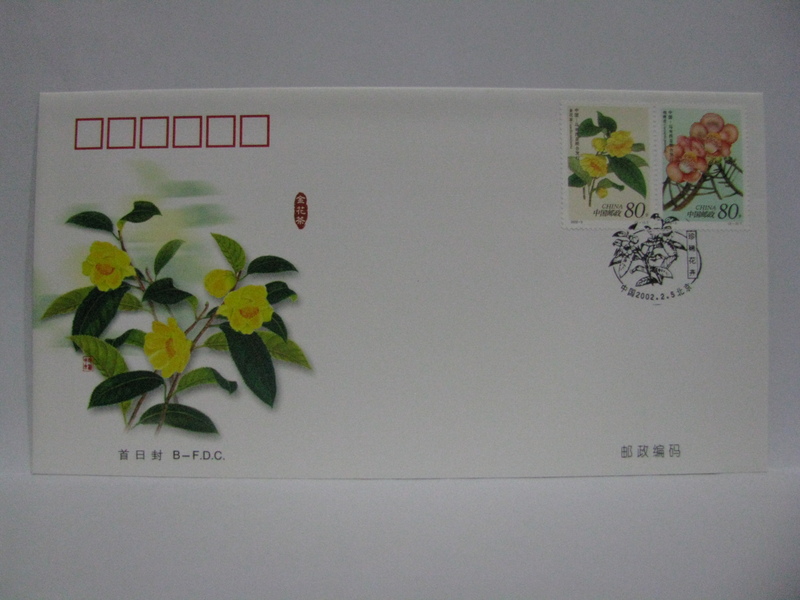 Due to long term storage the sheetlet has some toning (yellow). may i know the sheelet of 12 kings in the original folder price? My turn to apologise for the late reply. It is not a problem to post here, I am happy to have readers posting. Just try not to use short forms. 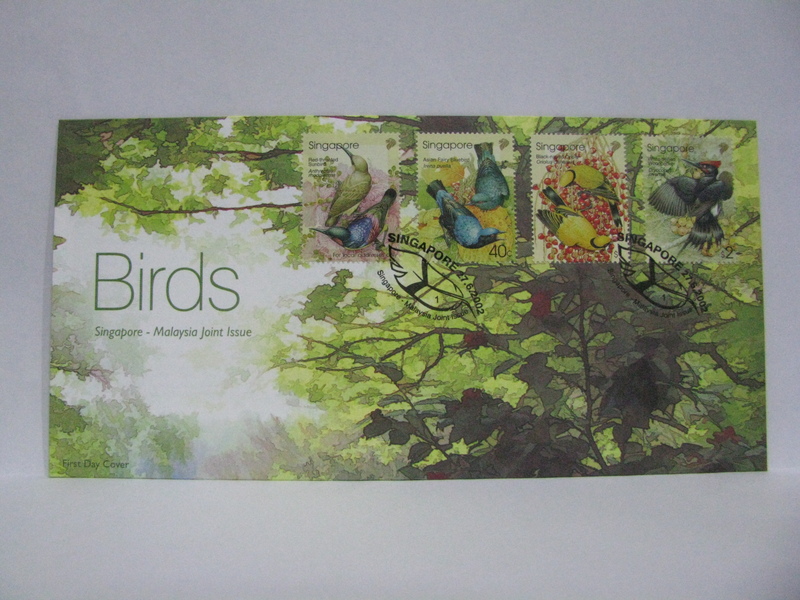 I have one set left for sale. It is not fresh condition. 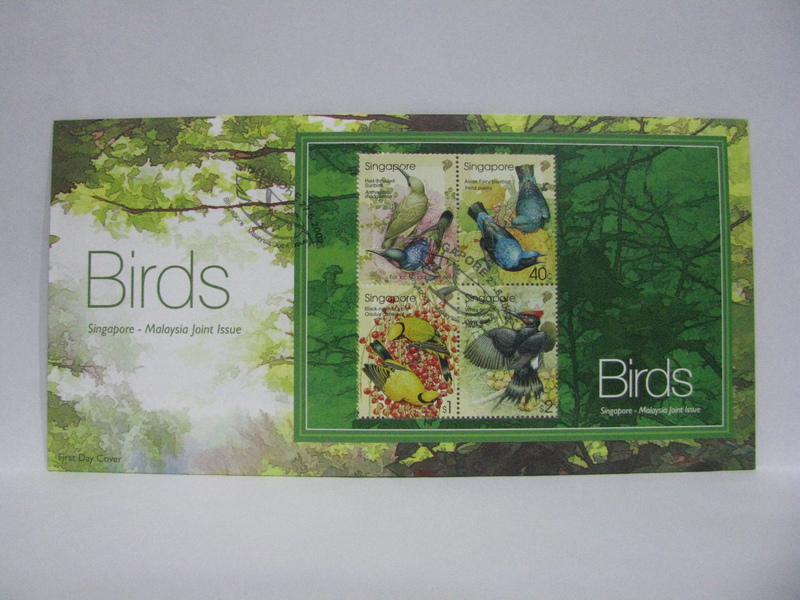 If you have and email, I will email the actual sheetlet for you to have a look and the price. 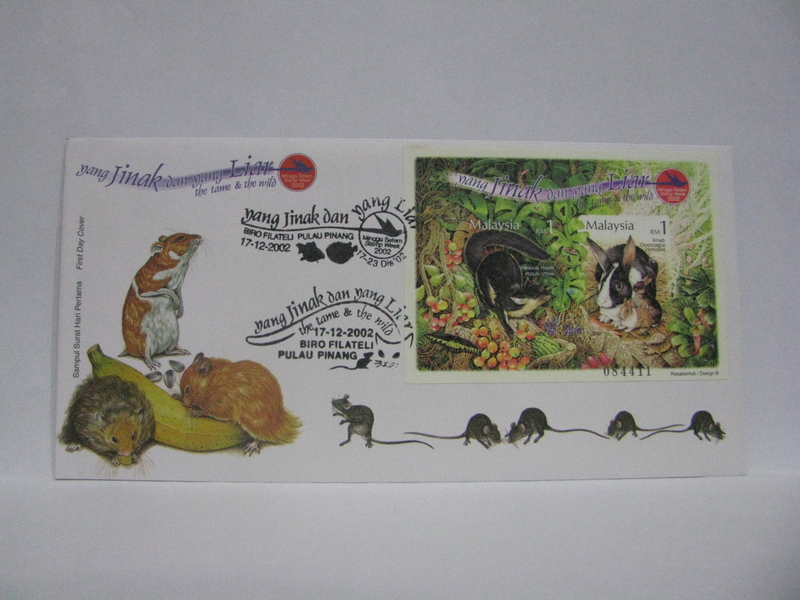 hope can get your feedback soon@..thank you..
hi, John here,i havent receive your picture that give me have have look the actual sheetlet and the price…my email is johnlim0327@gmail.com.thank you. Hi John, I was caught up with the Tri-nation Exhibition sales. 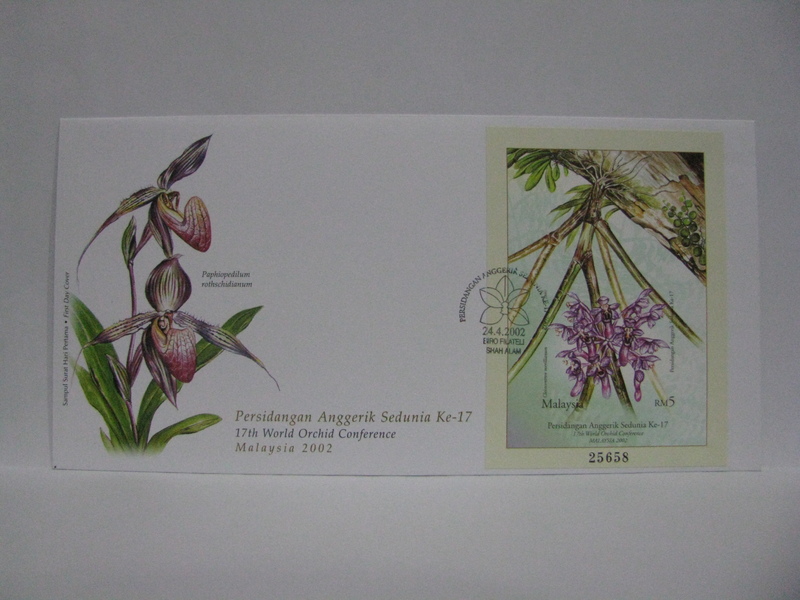 I am loading the pictures and will email in 15 minutes.